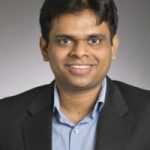 Venkat Viswanathan’s research focus is on identifying the scientific principles governing material design, inorganic, organic and biomaterials, for novel energy conversion and storage routes. The material design is carried out through a suite of computational methods being developed in the group validated by experiments. Some key research thrusts include identifying principles of electrolytes design (organic material) that can tune electrode catalysis, identification of new anode, cathode (inorganic materials) and electrolyte materials for next generation batteries, new electrocatalysts (inorganic) and biomaterials for energy storage and separation applications. In addition to material design, our group is involved in several cross-cutting areas such as battery controls, electric vehicle security and GPU accelerated computing.